Kacey Musgraves had a huge night last night (February 10), taking home trophies for Album of the Year, Best Country Solo Performance, Best Country Song and Best Country Album at the Grammys, and she's keeping the spotlight shining bright on her with a new video for "Rainbow." The track comes from the award-winning Golden Hour and follows visuals for fellow album cuts "Butterflies" and "High Horse." 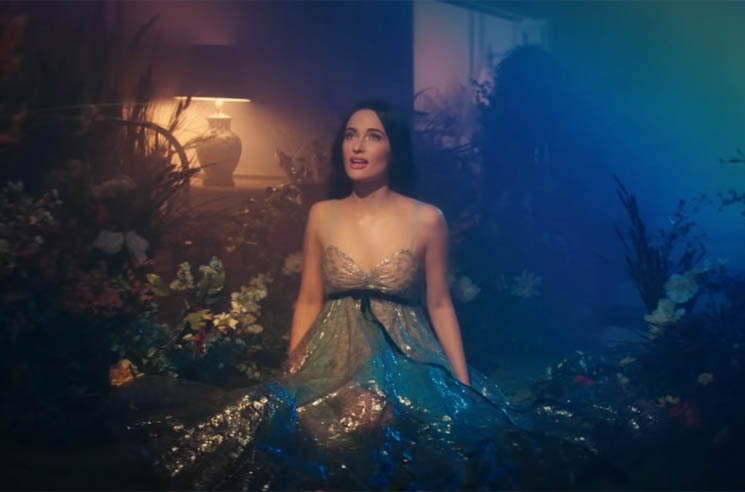 Musgraves performed the song at the Grammys ceremony (in addition to participating in the Dolly Parton tribute), and now it's been treated to a music video that sees the singer watching on as a number of characters face their own personal struggles. It starts off sad and desperate, but by the end, Musgraves reminds us all that there's "there's always been a rainbow hanging over your head." Watch the hope-inspiring clip for "Rainbow" below.